Quality monitoring task is to plan, measure, monitor and develop a quality of service Contact Center/Call Center. The Quality Monitoring Professional is responsible for working closely with the Sales and Customer Services teams to ensure the quality of sales are adhered to consistently. The Quality Monitoring Professional will be responsible for monitoring and providing feedback to Sales and CS management to drive improvements and consistency. Contact Center quality management systems have evolved over the years, increasing the efficiency and effectiveness of monitoring and managing agent performance. But most quality management systems today still focus on individual agent performance, neglecting the bigger picture: Overall business quality. Now, quality management is advancing. A higher standard infuses the performance improvement process with innovative analytics capabilities, going beyond an individual agent performance to optimize quality at the business level. 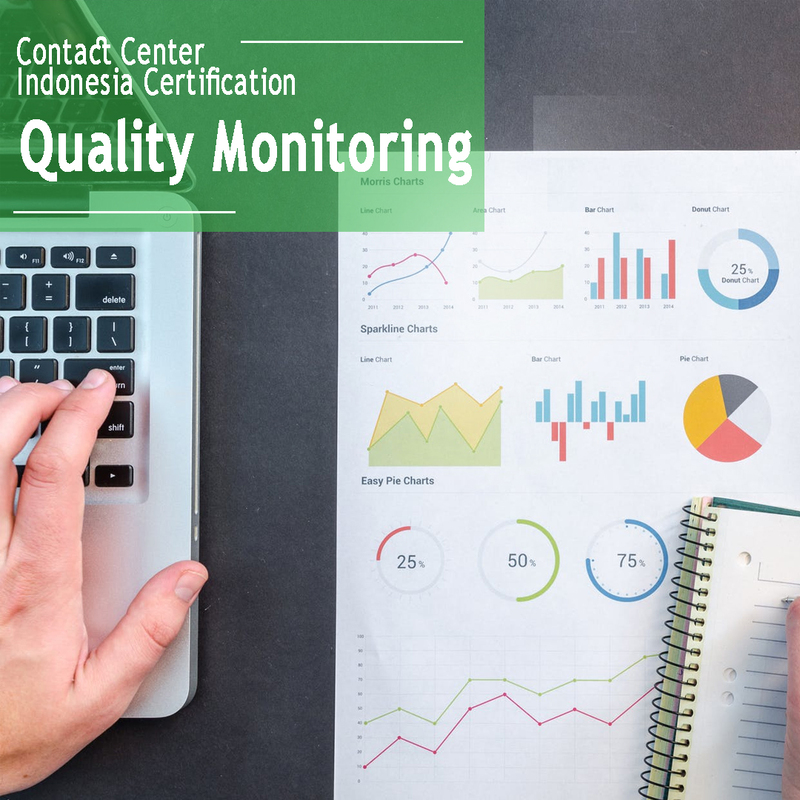 Participants gain the knowledge and understand the role and function of Quality Monitoring in Contact Center/Call Center environment, to drive improvements and service quality consistency. Process Quality Monitoring in Contact Center/Call Center. Identify attributes, definitions, and forms to be used in Quality Monitoring. Preparation of Quality Monitoring form. The process of sampling and measuring the sample size. The relationship between Quality Monitoring with the end-user satisfaction Contact Center/Call Center. Framework for the provision of coaching and feedback. Quality Assurance / SQ Team. All Management Roles in Call Center.